Please take the time to consider all 9 candidates for this month's voting. You can vote for your 3 favorite selections on the poll at the right hand side of the page. 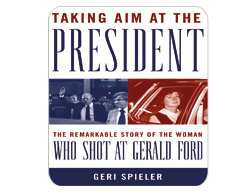 Synopsis/Bio: Geri Spieler is a journalist and investigative reporter. Her specialty is to take the buzz on the streets and turn it into investigative stories that are not being covered anywhere else. Geri is also a book reviewer for the New York Journal of Books, an official blogger for the Huffington Post, a member of National Book Critics Circle, member of the Internet Society and a senior writer with Ezine Magazine. 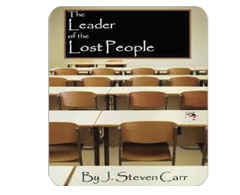 Synopsis/Bio: As a retired administrator J. Steven Carr has a million stories to tell - and some of them are true. As a career educator Carr's experience extends from the science classroom to the politically correct world of school administration. The workings of the human mind, as influenced by society and biology make for intricate settings from The Leader of the Lost People to the soon to be published Inside the Wind where humans are tasked to overcome adverse circumstances in spite of their self-perceived inadequacies. Carr takes you on a ride that is unstoppable because it exists in your mind. Some people change, some people try and some do neither. Synopsis/Bio: "I grew up in Queens, New York. I started writing late in life hoping to help my grandchildren pay for their college education. 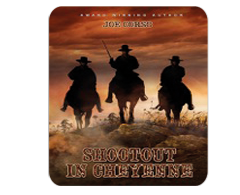 I found to my surprise that I could tell a good story which resulted in my publishing 16 books and 9 short stories, including my popular 'ENGINE 24 FIRE STORIES' trilogy." LAFITTE'S TREASURE and THE STARLIGHT CLUB 5: REVENGE are the latest books to have been published. The Time Portal 6: The Philadelphia Experiment will be published before the end of the year. "Go figure. If I would have known that I could tell a good story. I would have started writing a half century ago. Synopsis/Bio: L.M. 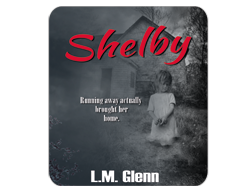 Glenn combines an addiction to writing with an unconventional way of thinking and a love of playing with words. She enjoys creating peculiar, slightly disturbed characters who aren’t perfect as they deal with the world around them. Even so, like real life, they always find love, friendships and hopefully leave the reader with a smile. She reads whenever she isn’t writing, and loves to cook and argue with her daughter, who usually wins. Glenn currently is writing her next novel with hopes of one day moving back to the mountains. 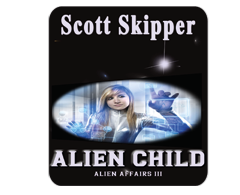 Synopsis/Bio: Scott Skipper is an American writer with eight novels to date. His quirky and irreverent style reflects his outlook on life. He operates from the seclusion of his home in the foothills of Southern California where he lives with a wonderful wife and some foolish dogs. 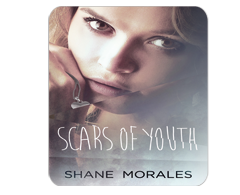 Synopsis/Bio: Shane Morales grew up in Saudi Arabia and attended the boarding school in Switzerland where Scars of Youth takes place. He went to an embarrassingly obscure university in western Maryland where he earned an even more embarrassingly obscure B.S. in physical geography with an emphasis on comparative paleo-anatomy. He has worked for nearly twenty years as an IT Ninja, but now writes full-time. In his spare time, Shane likes to read young adult novels and manga, watch anime, and play Dungeons & Dragons. As a self-proclaimed 80's Heavy Metal Heathen Child, he enjoys such bands as AC/DC, Iron Maiden, and Judas Priest. Shane harbors a deep passion for computer and high-end audio equipment that he could never afford. 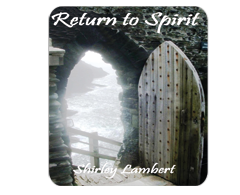 Synopsis/Bio: Return to Spirit is the story of David and Karen Turner, a forever couple torn apart by the sudden death of David. Struggling with an overpowering business partner and day to day life without her soulmate, Karen retreats to her cliff top cottage on the outskirts of Tintagel, Cornwall. Neighbours, Alice Brown and her daughter, Melody, both psychic mediums know that the strange energies beginning to fluctuate around the area are connected to Karen, but why? Strange phenomena around Karen, leave her struggling to evaluate into anything she can understand. Why has the Spirit World shut down all communication? Why are the energy levels rising, particularly around the castle? What has Merlin got to do with this? How much truth is there really in the Arthurian legend? 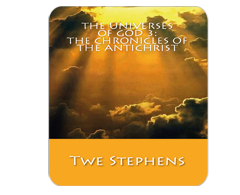 Synopsis/Bio: Twe Stephens, an award winning author; he has researched and studied the bible for over forty years. He lived in Fridley Minnesota, as well as Oxford Pennsylvania. He was a staff writer for his college newspaper and wrote numerous articles. He was commissioned to write the Lord’s story, from billions of years before the dawn of mankind, everything in between, to the Final eternity over a four book series.